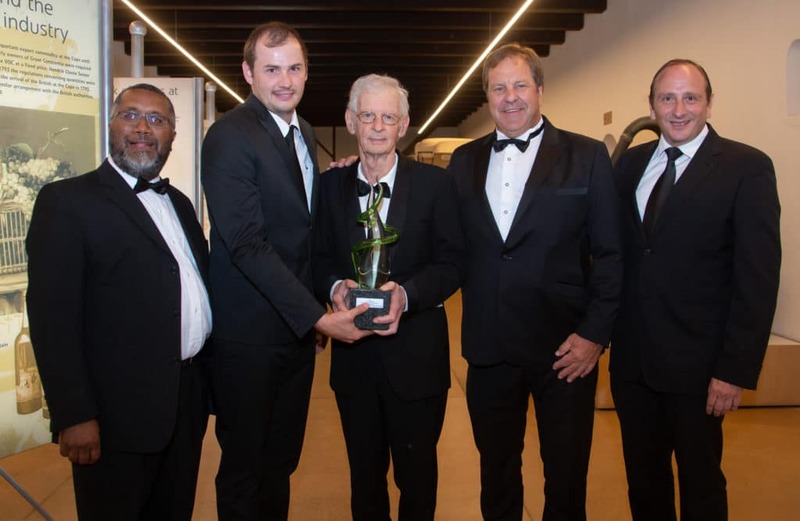 The viticulturist Prof Piet Goussard was honoured with the iconic 1659 medal of honour on Thursday 7 February 2019 at the annual Wine Harvest Commemorative Event at the historic Groot Constantia Estate. According to Dr Ernest Messina, Chairperson of Groot Constantia, the medal has been awarded to significant role-players in the industry since 1974, but it is the first time a viticulturist is honoured. Prof Goussard hails from Prieska and later Agter-Paarl where he was introduced to the world of table and wine grape farming during school holidays. He joined the Department of Viticulture and Oenology (DVO) at Stellenbosch University in 1971 and ended his career as Professor in Viticulture in 2014. He served as Head of Department for 14 years. His research outputs are well-recognized and still used today in the nursery industries. He has published more than 100 scientific and popular articles and received several awards, such as the South African Society for Enology and Viticulture’s (SASEV) prestigious Medal of Merit in 2001. He also was the editor of the flagship journal of the Society, the South African Journal of Enology and Viticulture for 15 years. Known as a ‘walking viticulture encyclopedia’, Prof Goussard published three books in the last eight years, combining his extensive viticulture knowledge and his passion for photography. The Wine Harvest Commemorative Event is made possible with the financial support and partnership of Groot Constantia Estate, Die Burger, Standard Bank and Vinpro. Agri-Expo is the organiser.